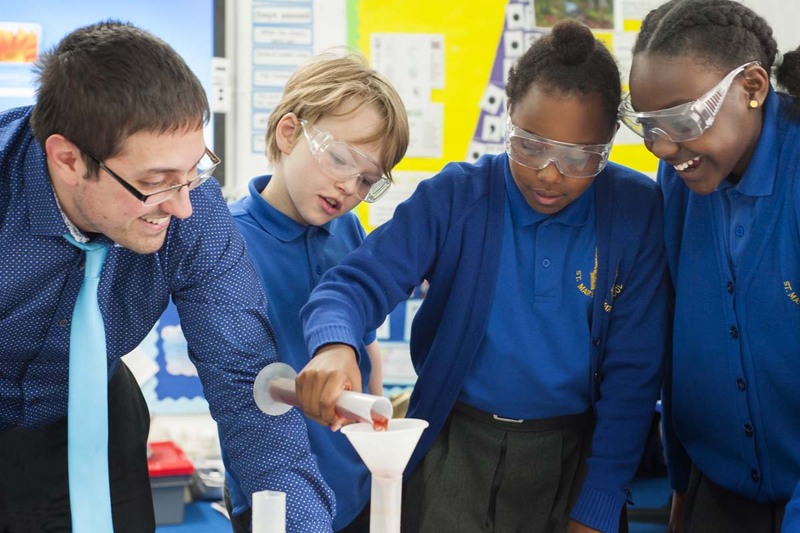 Here at St Mary’s we aim to develop a curiosity about the world we live in, developing our children’s questioning and investigative thinking, as we bring Science to life. We also try to make our Science Curriculum as cross-curricular as possible, embedding the skills we learn in our English, Maths and Computing. We encourage children to make observations and comparisons, to test their own ideas, consider evidence and provide their own possible solutions to problems. We also make every effort to make use of the outside, be it pond-dipping, drawing our shadows or growing our own plants. Have a look at the End of Year Expectations for each group for Science!